There is a short but hallowed list in my head of older cartoonists that I adore and would travel to meet in person. And atop the list are perched Kazuo Umezu & Yoshihiro Tatsumi. This past weekend, as part of the Toronto Comic Arts Festival (TCAF), the chance presented itself to meet Yoshihiro Tatsumi in person... and I took it! 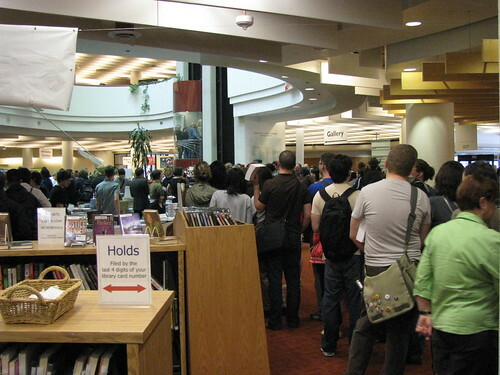 I already put up my TCAF round-up, but wanted to take a little time to post just about Tatsumi stuff. 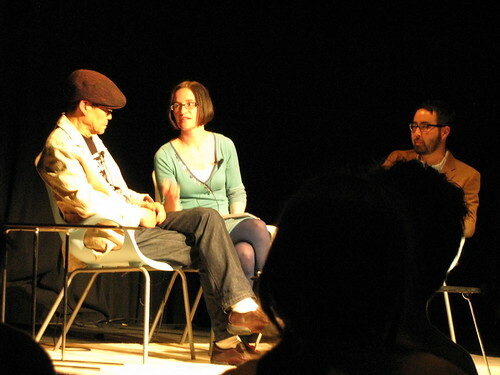 The first big event of the weekend was held on Friday at Toronto's Harbourfront Centre, featuring cartoonists Seth, Adrian Tomine, and Yoshihiro Tatsumi. The Beguiling's excellent Chris Butcher MC'd the talk, which started with a preface by Adrian Tomine. Tomine talked briefly about the process by which his earliest Optic Nerve stories were re-printed in a boxed set as fascimilies of the original minicomics. I got to the line too late on Saturday to make it before he finished, but was able to meet Tatsumi on Sunday after a 30 minutes wait. 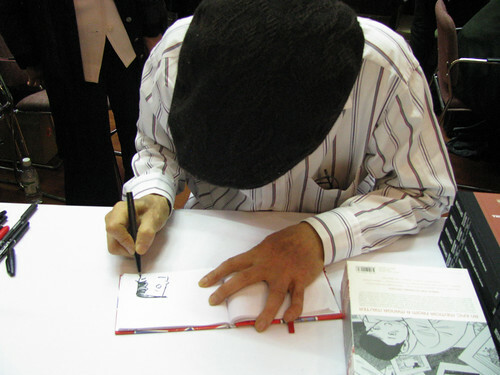 I just briefly spoke to Tatsumi (in Japanese), stammering out that I love his comics and that I used to live in southern Osaka, just a ways from Shinsekai and Tennoji, where a number of his gekiga tales take place. 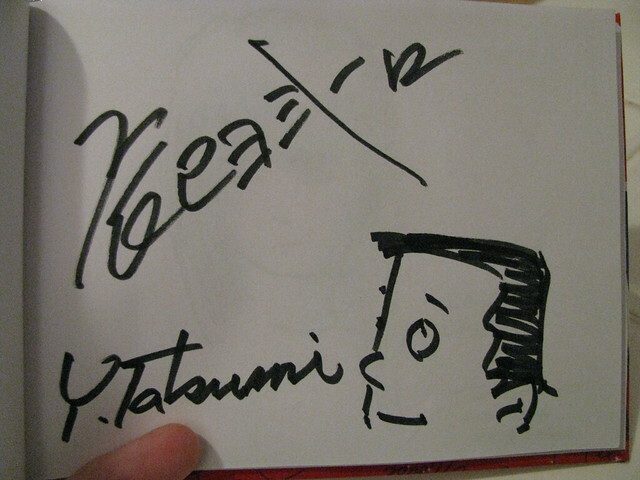 Yoshihiro Tatsumi signed my book! And here I present, the most beloved page in my Disneyland Autograph Book! About.com's manga guide Deb Aoki got some time to interview Tatsumi on Sunday, and just posted that article today. She asked him some interesting questions about his relationship in later years with Osamu Tezuka and his impressions of Tezuka's reaction to the "threat" of gekiga in the 1970s. Check it out! I just finished reading "A Drifting Life". Thanks for posting this up.